We’ve been telling you about how you can finish baking off our Take & Bake loaves in your oven, toaster, or outdoor grill (BBQ). Some of you have even told us about successfully baking it over your camp fire. While at our Costco Roadshow in Issaquah, we spoke with a customer who wondered how our Take & Bake would grill up in a Panini Press. She planned to use a Take & Bake French loaf to make brie and fig jam Panini sandwiches. We thought this was a brilliant idea and couldn’t wait to give it a try! We tried a variety of fillings and the results were exciting, easy, and absolutely delicious! Olive oil for brushing the bread. Meats such as sliced turkey, ham, salami, prosciutto, or grilled steak. Cheeses such as mozzarella, brie, Provolone, Pecorino Romano, Parmesan, goat cheese. Spreads such as pesto, fig jam, or artichoke parmesan spread. Vegetables such as arugula, spinach, peppers, or basil. Heat your Panini Press according to manufactures suggestion. Open Take & Bake and cut to desired sandwich size. Brush olive oil on the top of the loaf and/or on the inside, if desired. Add your spreads and fillings. 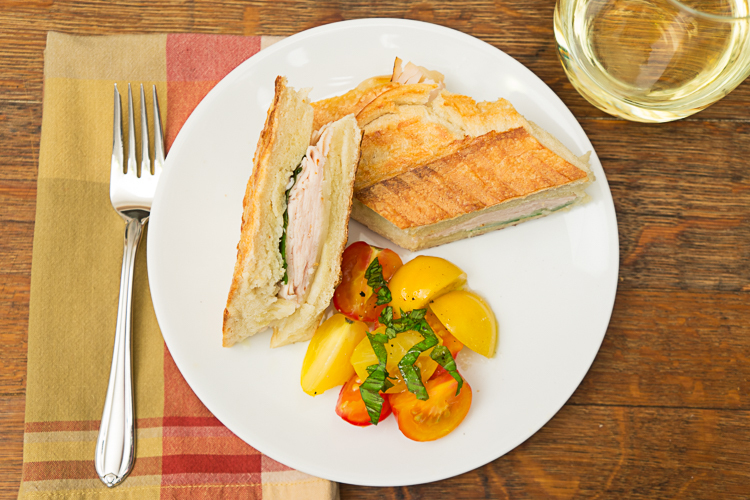 Grill your sandwich on your Panini Press for 8 minutes or do until crispy on the outside and your cheese is melted. 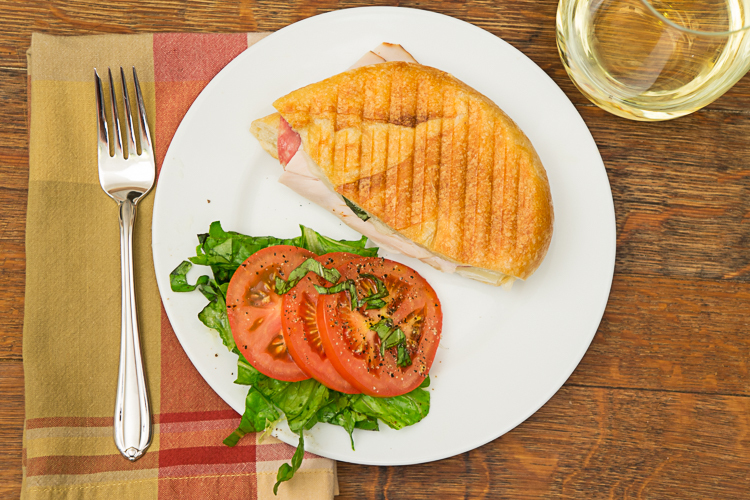 Stock up on our Bake-at-Home so you can enjoy fresh baked bread or Panini sandwiches anytime for any meal! Pappa Al Pomodoro – Take & Bake Bread Soup Save Now For The Holidays!